First, Dear Reader, apologies for the lack of recent updates. As luck would have it, I went away for a few days over the holidays only to have my trusty Beast break down on Christmas afternoon outside our equivalent of a one-horse town. Given that I was already running three hours late for Christmas lunch, things were not looking all that good for our Hero. Let's just say there was no Christmas lunch (or dinner!) for me and I was a very unhappy and grumpy person for a few days. But that was so last year, let's instead focus on the bright and shining future ahead! Well, to be honest, I failed miserably at all of last year's resolutions so will probably just recycle them for the next. And maybe I'll just focus on one at a time, like getting that stupid hat. Or the stripper girlfriend. 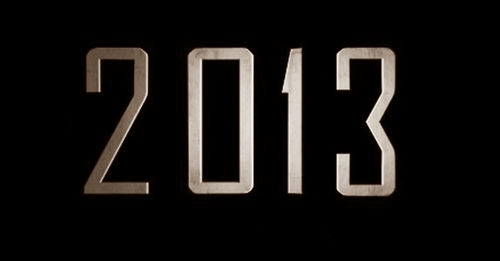 Anyway, let's hope that 2013 is only an improvement on 2012. As we head into it, I feel comfortingly optimistic but then recall that is exactly how I felt this time last year. Well, I started on #3 - develop an alcohol problem - by purchasing a bottle of bourbon to drink myself into a stupor tonight. Only problem is that I forgot I really don't like bourbon, so apart from the first sip, my glass remains untouched. Maybe it tastes better if I down a few in quick succession, without stopping for breath? Same to you. And I'm sure there will always be adventures, in one form or another.